‘A dusky pink rose named “Savannah” emerged as the morning’s star. “Savannah” took the George & Edith Vanderbilt Award for Most Outstanding Rose of the Trials, in other words ‘Best in Show’. “Savannah” is bred by Kordes Rosen in Germany, and also captured the categories for Best Hybrid Tea and Most Fragrant. Order your Mom a Jackson & Perkins living rose bush today from the list below that includes winner of the Biltmore Rose Trials ‘Most Outstanding Rose’ ‘Savannah’, she’ll get her roses in time for Mother’s Day and you can enter a chance to win a $100 gift certificate! In honor of Mother’s Day this is a tribute to Moms and caregivers everywhere that teach us all the things about gardening that we didn’t learn in books or Google Search. Since roses were one of my Mom’s favorite flowers, I wish she were here to see the first rose bloom each spring. Most Moms tell me they prefer living plants over cut flowers so this year why don’t you give living rose bushes to your Mom, Step-Moms, Mother-in-Law, and Grandmothers? You can even plant rose bushes in honor of the loved ones that have been important in your life and passed on. They want easy-to-grow roses and prefer living plants to cut flowers. Just having returned from the Chicago Flower and Garden Show, I can tell you the world’s most prolific and famous rose breeders are listening to YOU! Each year there are better minimal care roses available that you can have great success with. Where Can I Get Roses Like You Have? Do you know the question I was most often asked while at the Chicago Flower & Garden Show? “Where can I get these kinds of roses?” Many people that attend the show are sophisticated gardeners that love and appreciate roses. Many have seen my website and even mention my roses, saying “We see the types of roses you have, but don’t know where to get varieties like ‘Savannah’ that swept the Biltmore Rose Trials!” People tell me often, “We don’t ever see roses like this at Independent Garden Centers.” They went on to say, “You have all these beautiful roses but where can we get them?” I’m here to tell you: you can get the very best varieties online at Jackson & Perkins. 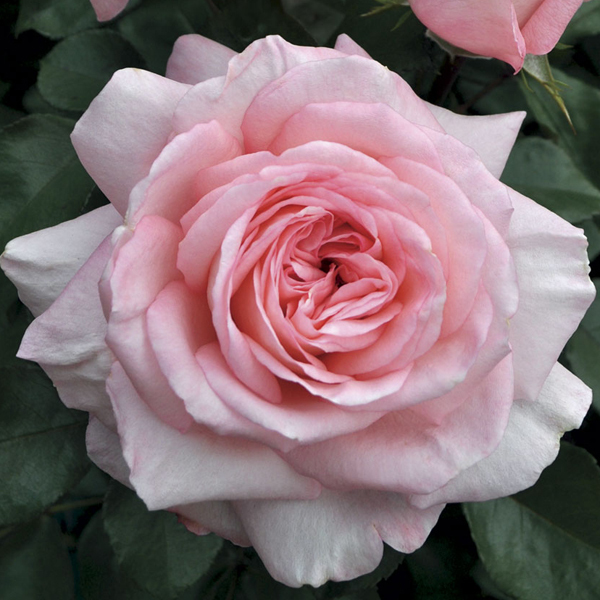 For instance the amazing rose ‘Savannah’ that swept the show while I was a judge at the Biltmore, and underwent 2 years of testing, is available and in-stock so order it now so you can get it in time for Mother’s Day. If you’re feeling lucky, enter the Mother’s Day Rose Contest for a chance to win a $100 J&P Gift Certificate, so your Mom can take her pick of Jackson & Perkin’s quality varieties. To enter the contest, simply enter your email address below! Order the Jackson and Perkins 2012 Rose of the Year, 'Summer Nights' and enjoy amazing color, fragrance, and performance! Enjoy out-of-this world color all summer long with this striking accent rose, perfumed with fruity fragrance and decked out in orange-to-pink petals! Kick your garden up a notch with a stunning mixture of fragrance and orange/coral-pink blooms! Dark Desire™ Parfuma® Grandiflora Rose is a blackspot- and mildew-resistant shrub that reblooms all summer, setting clusters of violet blooms. The flowers are strongly fragrance, the scent combining floral, citrus, and spicy notes. Highly disease resistant, vigorous and easy to grow even in the heat and humidity, the Sunbelt® roses are a great choice! Moondance Floribunda Rose -- Award winning white floribunda that flowers non-stop all summer long bred by Dr. Keith Zary. This floribunda offers sparkling amethyst clusters with non-stop color and fragrance that Mom will love all summer long! This fast-growing, winner of Floribunda of the Year Kimberlina is one of my all time Favorites! See my Rose Review Video on Instagram at Jackson & Perkins! 'Astounding Glory' at Jackson & Perkins has the color that is the essence that is deep rose and so gorgeous Mom will swoon! Mother passed away in 1994, yet she walked me through every step of learning how to grow roses; I can still hear her voice in my head say “plant the graft 4-6 inches below ground to protect the rose from frost damage over the winter.” Since I can hear my Mother’s ‘gardening tips’ in my head about taking care of roses, I thought in honor of my Mom, and Mom’s everywhere that pass on crucial oral history I’d share her 5 growing tips. And I want to thank Mom’s and care-givers everywhere for the critical role they play and their voices in our head and for passing on all the vital oral knowledge that cannot be learned anywhere else and their profound wisdom that is an echo through the furrows of time. While working in the garden this spring I was wondering how did our Mom’s know so much without ‘Google Search’, and the Internet? Oral history was key to knowledge. I’ll give you a hint: Our Moms must have read EVERYTHING! Order your roses now so Mom will have them in time for Mother’s day or get your Mom a Jackson and Perkins Gift Certificate so she can choose her favorites. The varieties I listed are VERY popular with Mothers! You will want to read the amazing story called In Loving Memory, discovering the hidden peonies.